On December 8th, 2014 the Marysville School District (MSD) school board will vote on adopting the Since Time Immemorial Tribal Sovereignty (STI) curriculum as core curriculum for district schools. If adopted as core curriculum, STI would become mandated curriculum for the districts K-12 schools effectively bringing historically accurate local tribal history, culture, governance and current tribal affairs into the schools. Sen. McCoy (Tulalip) sponsor of H.B. 1495 being honored at Seattle’s 1st Indigenous Peoples’ Day celebration. Located 35 miles North of Seattle, the Marysville School District, which includes the Tulalip Tribes, is poised to become one of a few school districts in Washington State to mandate the goals of the historic 2005 H.B. 1495. 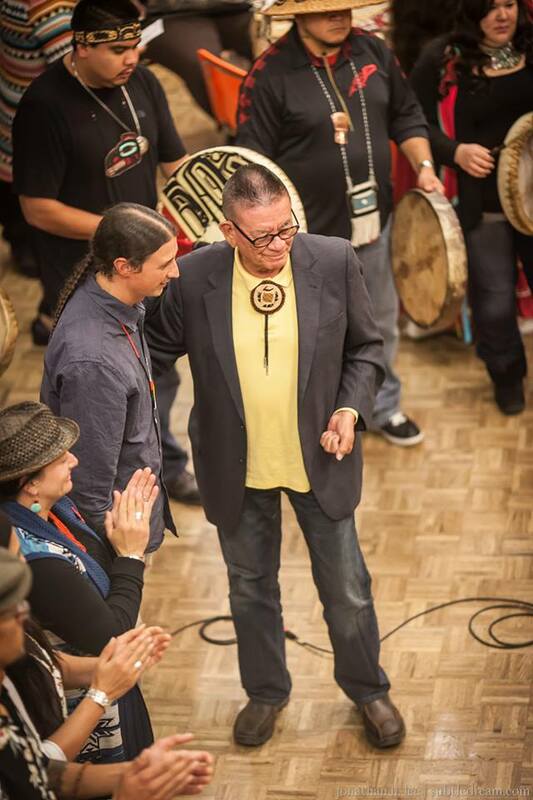 Introduced by then Rep. John McCoy (Tulalip), now Sen. McCoy, H.B. 1495 called on school districts in Washington State to incorporate local tribal history, culture, governance and current tribal affairs into school curriculum. It further called on school districts to work in collaboration with local tribes in bringing the development and implementation of the curriculum. Since the passage of H.B. 1495, the Washington State Office of Native Education began working with the 29 tribes located in Washington in developing the STI curriculum. Despite the curriculum being offered for free to school districts, many districts around the State have been slow to implement the curriculum. H.B. 1495 only “strongly recommends” districts to use the curriculum. Beginning in early September 2014, a group of MSD district staff, teachers, principals and Native liaisons began the long process of working together to make the STI curriculum required instruction for the districts K-12 schools. The MSD school board will vote on their proposal to make the STI curriculum “core curriculum” Dec 8th, 2014 at 6:30 PM. 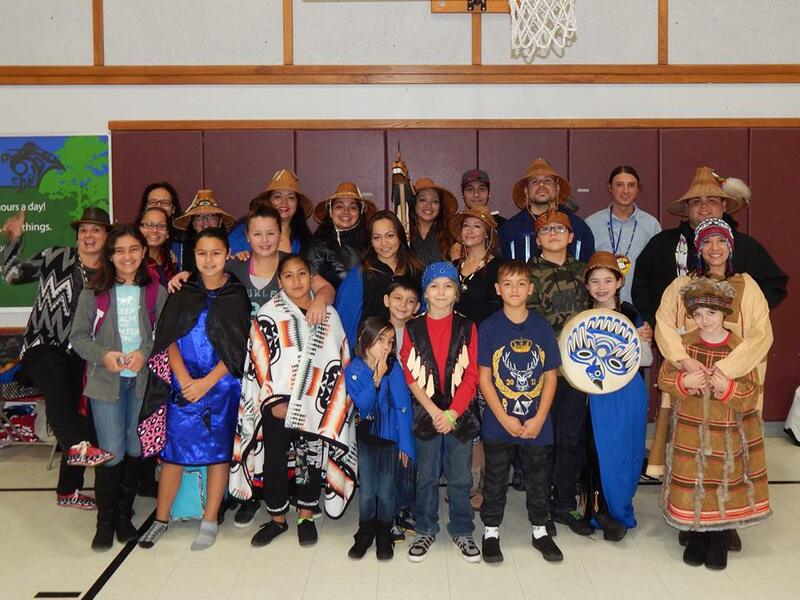 Members of MSD curriculum committee Chelsea Craig- Tulalip (back-row 4th over L to R cedar hat), Anthony Craig- Yakama (back-row 8th over L to R cedar hat), and Matt Remle- Lakota (light blue shirt back row) at Tulalip Quil Ceda elementary school. This entry was posted in Tribal Education, Tribal Leadership, Youth Education and tagged HB 1495, John McCoy, LRInspire, Marysville school district, matt remle, OSPI, Since Time Immemorial Tribal Sovereignty, Tulalip tribes by lrinspire. Bookmark the permalink. This is a great idea and very important for all of the school district students to have some exposure to that curriculum as well. Students need to learn as soon as possible that there are other ways for governments to function than (” the US government way or no way”) This government really isn’t a good example of a functional government that promotes the best interests of the citizens.